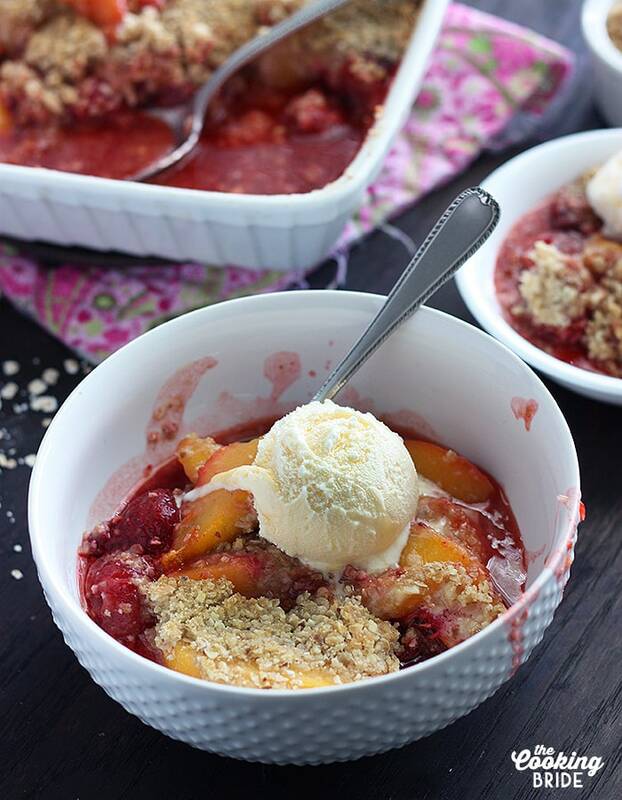 Strawberry peach crumble combines juicy peaches and sweet strawberries with a crispy oat topping. 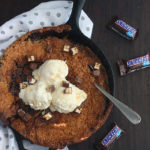 It’s a yummy, sweet summertime dessert. Being nine months pregnant during one of the hottest summers we have ever had on record was just outright miserable. Mass quantities of ice cream were consumed during June, July and August in an attempt to bring down my core body temperature. With it came the thighs to match. Weight Watchers and the gym are now my new best friends. I know what you are thinking. Eating fruit crumble is not going to help me get back into my skinny jeans. You just let me worry about my waistline, eh? 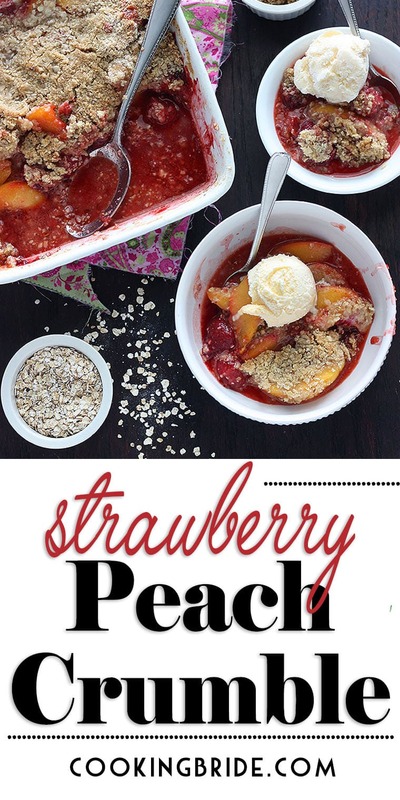 This dessert combines two of my favorite fruits and I knew I had to make this while I could still get fresh peaches and strawberries at a reasonable price. Not only does it just look pretty, it’s tasty and juicy and makes your kitchen smell really nice. If fresh peaches and strawberries aren’t available anymore where you live (or the price has gone sky high as the price of strawberries tends to do when they go out of season), you can substitute frozen fruit. 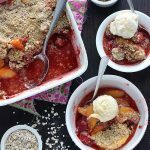 Strawberry peach crumble combines juicy peaches and sweet strawberries with a crispy oat topping. 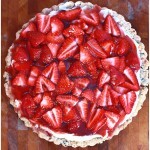 It's a yummy, sweet summertime dessert. In a medium bowl, whisk together the lemon juice and cornstarch until smooth. Add the strawberries, peaches and brown sugar. Gently toss until the fruit is coated. Pour the fruit mixture into the prepared pan. In the bowl of a food processor, combine the flour, oats, almonds, brown sugar, cinnamon, and salt. Pulse until mixed. Add the butter. Pulse until the butter is the size of peas. Sprinkle the mixture over the filling and bake for 40 to 45 minutes until the filling is bubbling and the top is slightly golden. Cool the crumble for 5 minutes. 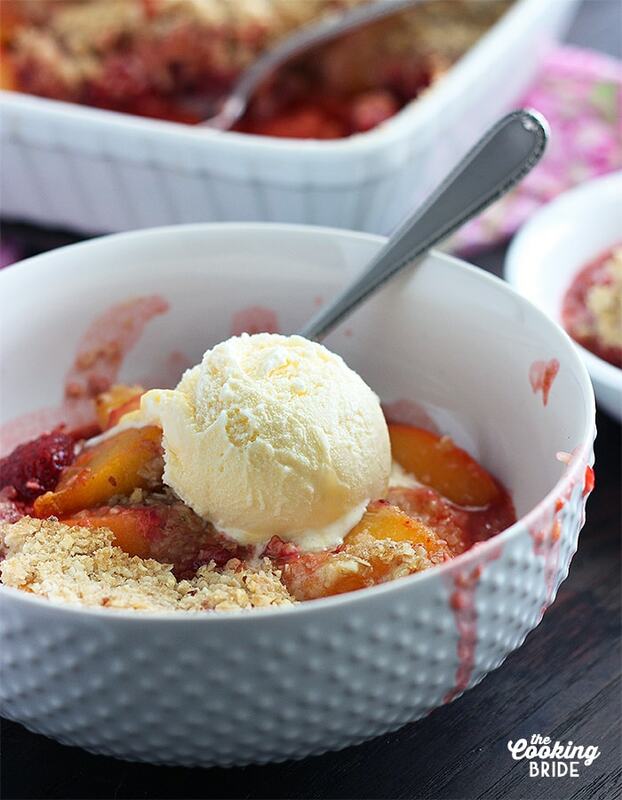 The crumble can also be made using 1 pound frozen and thawed whole strawberries and 1 pound frozen and thawed peach slices (plus any thawing juices). It looks perfect and I can enjoy it no matter what the temperature is outside. 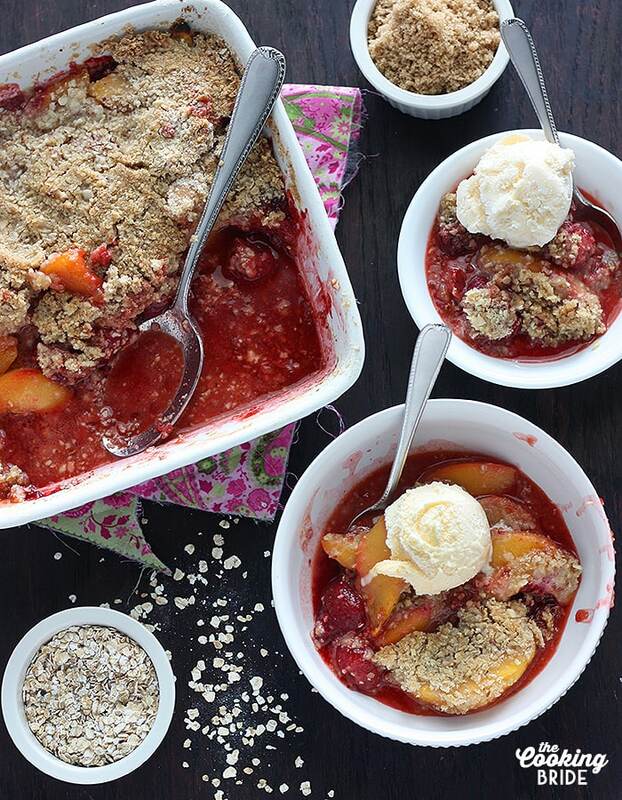 I love fruit cobblers, easy and delicious. I will definitely try this.